When I started my newsletter, Global Changes & Opportunities Report (GCOR), in May 2006 I made a very wise decision: I decided to have Publishers Management Corp. (PMC) handle all aspects of my business having to do with subscribers, including credit card payments, refunds (fortunately very few), list management, and related tasks. By having PMC handle the day to day business concerns of my newsletter, I have been able to devote nearly all my professional time to research and writing. Since then I have worked with PMC to create a GCOR website (www.powellreport.com) that includes an archive of past newsletters, subscriber bulletins, special reports, online subscriptions, and my stock portfolios with automatic daily price updates. If you have a publication for which a comprehensive support service would be useful, I can recommend no better company than PMC. PMC...the perfect turn-key solution for us! 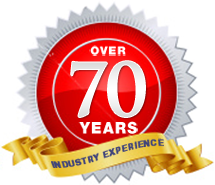 We have been customers of PMC for over 10 years. At the time, we only published a couple of newsletters and had a relatively small customer base. PMC was the perfect turn-key solution for us, they truly did everything for us: answering calls and emails, processing orders, fulfillment, and even dealing with all of our administrative and accounting needs. Of course, over the last ten years our company has grown considerably and now offers many products to tens of thousands of customers. While we have had to progressively take in-house some of the functions originally handled by PMC, they have always worked cooperatively and professionally to help us transition to the next level. Today, PMC's customer service representatives have remained an important asset for Casey Research. The training level, competency and communication skills of their CSR's has been crucial to our business, particularly as our products and offerings become increasingly complex. Each challenge we have thrown at them over the past 10 years has been met with a positive, "can do" attitude, which translates into a better experience for our customers. I thank the entire PMC team for truly working as if they were part of the Casey Research organization, we still have long-time customers that think they are speaking to our staff when they call our "Phoenix office". We've been with PMC for nearly a decade now, and each year we are awed by its commitment to significant operational upgrades and to us. As an added benefit to us, our subscribers report that PMC is staffed by some of the kindest customer service reps in the publishing business. PMC...simply the best in the business! I was an unknown, struggling newsletter editor when I heard of Publishers Management Corp. (PMC) in the mid 1990’s. The subscription-based newsletter business had come under attack from FREE services that had begun to proliferate on the internet. The team at PMC agreed to take on my account not because of anything I could do for them; but instead because they knew they could help my business. And they did. PMC handled everything, including subscription drives, marketing, printing and distribution, renewals and more. Working with PMC was the smartest business decision I ever made, because it allowed me to do what I did best while PMC handled the day-to-day. My subscription-based newsletter business thrived because I was able to concentrate on research and writing, while PMC handled the rest. I’ve known the people at PMC for nearly 15 years. With strong leadership, PMC has achieved a standard of excellence that all other marketing and media-management firms strive to reach. This is the most honest, capable, and hard working team in the industry, period. PMC is, very simply, the best in the business!